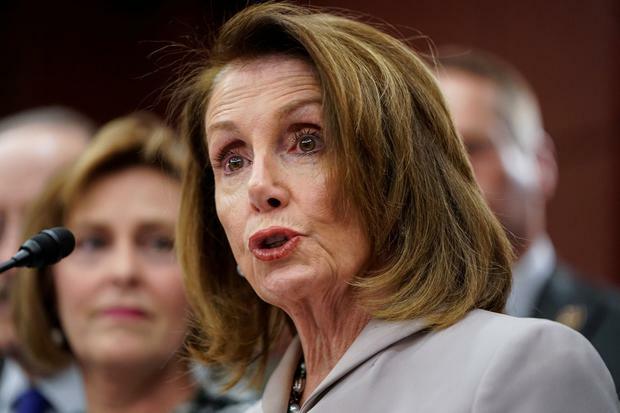 Nancy Pelosi has urged Democrats not to accept the verdict of attorney-general William Barr on the Mueller report - as President Donald Trump continues to gloat over his "vindication". The House Speaker pointed out that the special counsel's report itself remains secret, with Mr Barr's four-page summary the only information publicly available so far. "We cannot make a judgment on the basis of an interpretation by a man who was hired for his job because he believes the president is above the law and he wrote a 19-page memo to demonstrate that," Ms Pelosi reportedly told party members in a private meeting. The Speaker also called for calm and a return to policy matters. Meanwhile, with renewed talk of impeaching Mr Trump in the air, the House Judiciary Committee voted unanimously to call on the Justice Department to release all FBI files relating to obstruction of justice, kick-starting the Democratic fightback in earnest. It was also revealed yesterday that Deutsche Bank has been cooperating with the House Financial Services Committee's investigation into Mr Trump's finances. Democratic congresswoman Maxine Waters, who chairs the committee and is leading the probe, confirmed the bank was now providing its records of the president's finances. It had previously rebuffed the Democrats' call for the documents throughout 2017 and 2018, when they were the minority party in the House. But Ms Waters said she was satisfied with the bank's level of co-operation since the Democrats assumed majority power after sweeping the House in the 2018 midterm elections. She told reporters that the committee was probing "everything" involving Mr Trump's financial dealings with the bank, which was recently fined in a major Russian money laundering scheme. Mr Trump and Deutsche Bank were "deeply entwined" throughout his rise to prominence as a New York real estate mogul, according to a major New York Times report published earlier this month. The report also alleged that the president had inflated the value of his financial assets by as much as 70pc. The extent of Mr Trump's potential involvement in criminal misconduct with Deutsche Bank remains unclear, as investigators probe other possible financial crimes in addition to the bank's money laundering. The bank was previously accused of violating international sanctions, along with money laundering, market manipulation and other illegal practices. It was forced to pay $630m (€559m) in fines to the US Justice Department in 2017. At least two congressional committees are currently looking into the president's dealings with Deutsche Bank. The House Intelligence Committee has also launched an investigation into the president's finances, including his connections with the bank. Deutsche Bank has been reported to have lent money to Mr Trump at a time when few other financial institutions were willing to work with him. The president has urged Americans to forget the whole Russia investigation as a waste of time. He claimed that he was "totally exonerated", despite Mr Barr quoting Mr Mueller as saying: "While this report does not conclude that the president committed a crime, it also does not exonerate him." The special counsel did find that the Kremlin directed a large-scale effort to helping Mr Trump during the 2016 election. Meanwhile, Mr Trump told Russia to "get out" of Venezuela yesterday after 100 of its troops landed to help President Nicolas Maduro, escalating a war of words between Washington and Moscow. 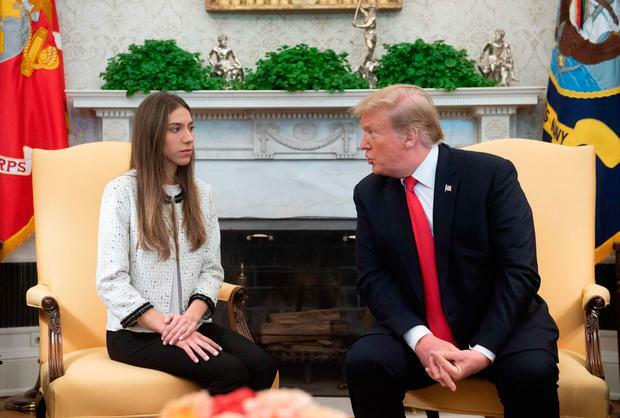 The US president's rebuke was delivered as he held talks in the White House with Fabiana Rosales, the wife of Juan Guaido, the Venezuelan opposition politician who had declared himself interim president. America, along with many European and South American nations, supports his claim to the presidency while Russia and China back Mr Maduro. were reportedly among the "special forces" dispatched.